Remember this: Healthy cuticles equal healthy nails. “The main habit to break is picking, trimming, or manipulating your cuticles in any way,” says Dr. Adigun. Cuticles act as both a seal and a barrier, keeping in hydration and keeping out possible infections. 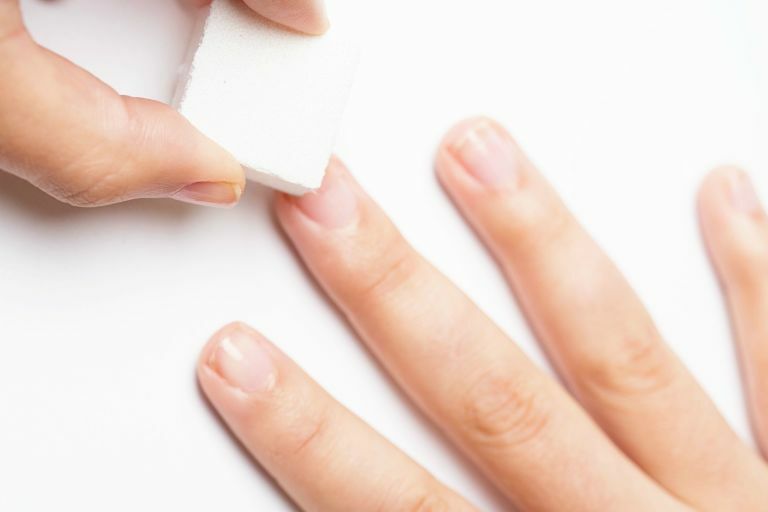 “Nail growth starts in the area called the matrix—it’s right below your cuticle line and very important for keeping the nail healthy and hydrated,” Johnson says. “Your cuticles are the last line of defense, acting as a shield blocking the spread of bacteria from moving in on the nail,” Lippmann explains. “Cutting them can potentially irritate or infect the nail.” To avoid both, gently push them back instead of trimming. While it may seem like a good idea to reach for a hardener that promises stronger nails, such products can actually do more damage than good. “They often cause nails to become so hard that they crack and break more easily,” Dr. Adigun explains. Keeping nails at a length that’s functional for your day-to-day life helps prevent breakage and tearing. When you file your nails, make sure you're doing it correctly. “Shaping your nails may seem like a mindless activity, but it can actually weaken and break your nails if executed improperly,” Lippmann explains. Use a fine-grit file, start on the outside edge and pull towards the center—then continue to gently swipe across your nail in that one direction. Don't saw the file back and forth, which creates too much friction and gives you frayed edges that catch and snag easily. Lippmann also recommends holding the file tilted underneath the tip. “This prevents over-filing by allowing you to see exactly what you are doing,” she says. As if you needed an excuse. “Manicures remove the rough edges, dry cuticles, and hangnails we tend to pick at and get caught on things,” Johnson says. However, make sure the treatment is gentle. “Nails and cuticles are much more delicate than people realize."